Please join UUCP for our service today at 10:30 a.m. led by Rev. Paul Dodenhoff. If you live in a home that relies on well water for a water supply, it’s important to watch the safety and the supply of water in the well so that it doesn’t run dry. 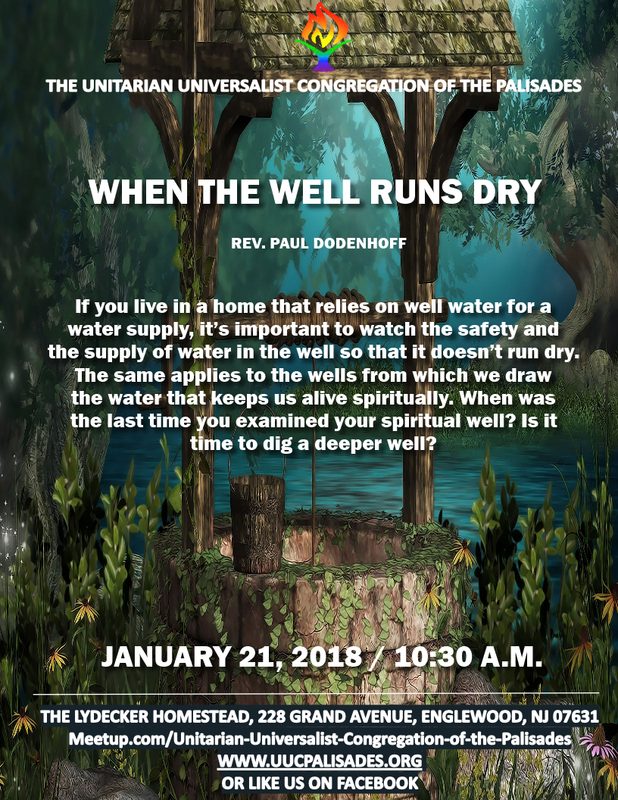 The same applies to the wells from which we draw the water that keeps us alive spiritually. 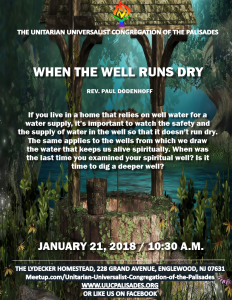 When was the last time you examined your spiritual well? Is it time to dig a deeper well?